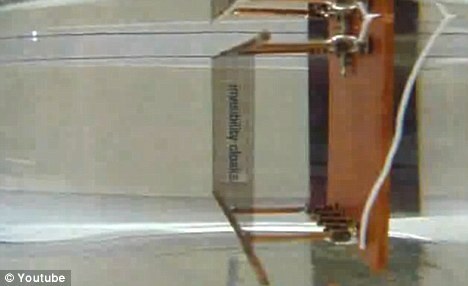 A group of Scientist from Texas have managed to create a technology that might one day hide an object. “We really can hide objects. … We can switch for a short moment and make it disappear,” said Ali Aliev, a physicist at UTD. Sounds like science fiction might one day see science face to face and challenge it!!! The experiment conducted by Ali Aliev uses a threadlike material – made of carbon nanotubes and then heats them up rapidly until the objects beneath them effectively disappear. And here’s an interesting video that shows how the experiment make the object disappear. Finally,Blue Whale mouth has been measured! Nasa Scientist Finds Evidence of Aliens! Next: Where US keeps its nukes?